This category is for posts about this dreaded place I live in, and how I love it, but also how it demands to be cleaned, painted, organized, nailed together, roofed, and otherwise made habitable. Also, sometimes about elements of my dream habitat, which shall exist only in my dreams. We got new counter tops. Beautiful, sleek, black counter tops for which I have been longing for years. I’m in love with them. May the kitchen renovation gods help us. 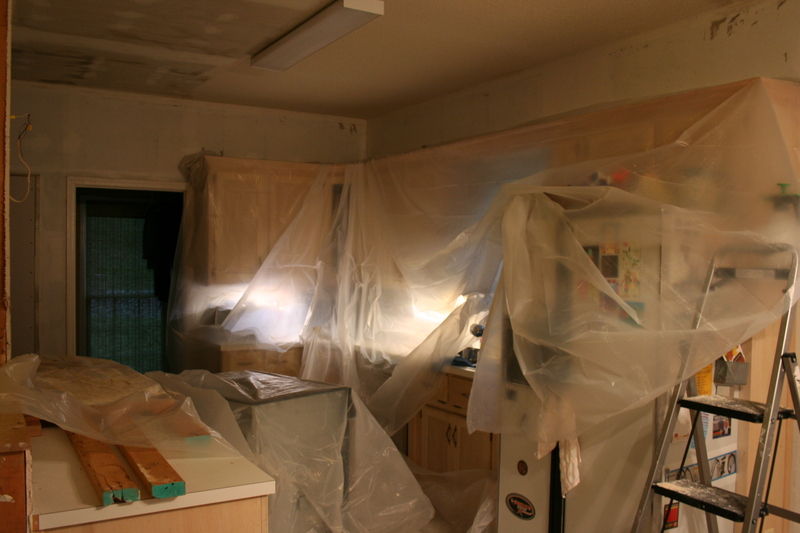 We’re at the stage of kitchen renovation where it looks like it can’t get worse, but it probably will, before it gets better. I’m trying not to have a full-blown episode about it, but that is not easy. In case I haven’t mentioned it, this is a weekends (mostly) totally DIY project. I can’t remember exactly when we started, but obviously, we’re still in demo phase. Progress has been made. Walls have been knocked down, a door closed up, sheetrock replaced where there were holes from where the walls came down. Wallpaper has been removed, and as of yesterday, the textured ceiling is scraped and smoothed. I would like to say we are at the messiest moment, but I’m afraid the mudding and sanding of the sheetrock might be worse. Not up to tackling anything big, today I went for something small that has a big impact because I open this drawer several times every single day. The dreaded bathroom vanity drawer. I don’t know how this is possible, but I threw away half a garbage bag full of stuff from one very small drawer! It’s easy to be ruthless when it’s just one drawer. I got rid of everything I don’t use, and organized the drawer with the stuff I touch every day near the front. 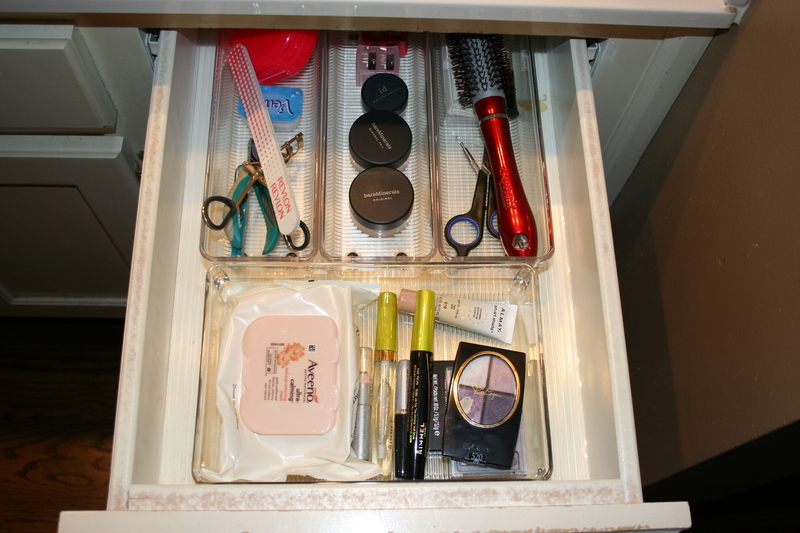 I bought plastic organizers to hold everything, and I lined the bottom of the drawer with clear plastic liner that keeps the organizers from sliding around. See how tiny it is? I don’t know how all that junk was in there! In other news, I dropped a hard plastic box on my poor, flip-flop clad toe in Bed, Bath and Beyond. It BLED! From a stupid little box. I wanted to cry, but I held it together. Tomorrow, kitchen cabinet #2 (the one over the vent hood). Check back for a really scary “before” picture!